Home / ENTERTAINMENT / Here’s Your Chance to Win An Exclusive VIP Ticket to See Jidenna Live in Lagos! 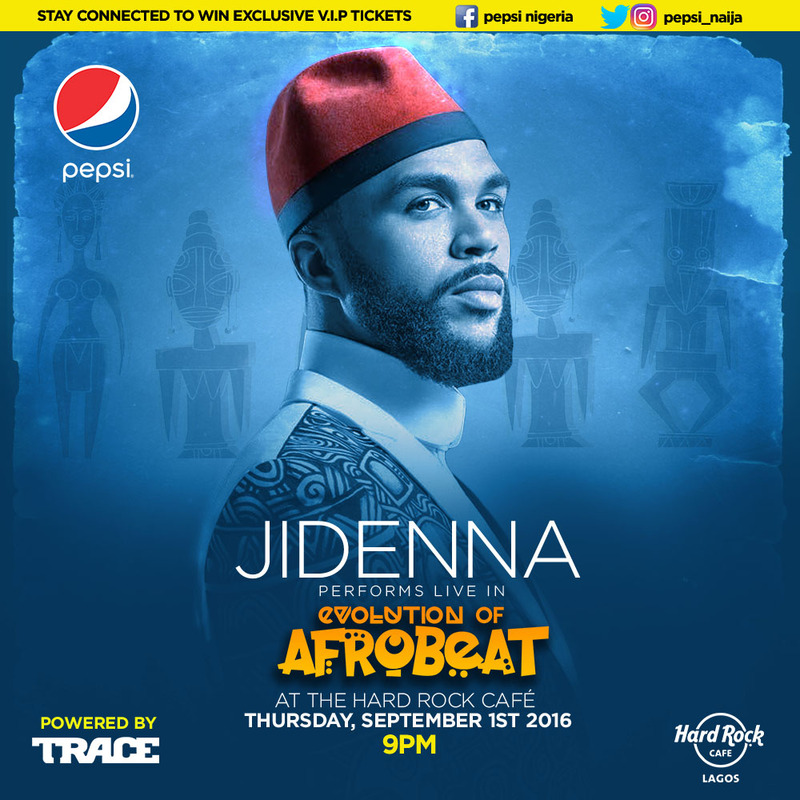 Here’s Your Chance to Win An Exclusive VIP Ticket to See Jidenna Live in Lagos! If you’ve been active on social media these last few weeks, then you’ve certainly seen the banter between Jidenna and top Nigerian artistes about his visit to Nigeria, and now the date is near. The award winning Nigerian-American artiste will be performing live at Hard Rock Café Lagos, on Thursday, the 1st of September, at Trace TV’s Evolution of Afrobeat; an event refreshed by Pepsi. Now, here’s the fun part, Pepsi is offering lucky fans the chance to win exclusive VIP tickets to hangout, wine and dine with Jidenna. Winners will also be interviewed on Trace TV, as well as take photos with the star. To win an exclusive invite to party with the ‘Classic Man’, all you have to do is dress up in your most dapper and fashionable style, strike a classic pose with a Pepsi longthroat bottle as a microphone, then take a photo! Finally, share your coolest photos on social media using the hashtag #PepsiClassicFan. Visit the @Pepsi_Naija page on Instagram and Twitter, and Pepsi Nigeria on Facebook for details. You can also join the conversation via #PepsiClassicFan.